Board of Directors — WholeHeart, Inc.
Trish holds an MBA in Organizational Development and Behavior. Her career has spanned the corporate world, teaching at the collegiate level, owning several small businesses, and founding three social profits. In addition to co-founding WholeHeart, Inc., she is the Founder of Wonder & Wisdom and Founder and President of The Wisdom Connection, Inc. In addition, Trish is a Certified Teacher of Creative Kids Yoga and a Reiki Master. Trish's real title at Wholeheart, Inc.is Spark of Divine Mischief. Newcomb is faculty at Goddard College where he teaches Mathematics. He holds a PhD from Princeton University and a BA from Haverford College. Informed by his longtime Buddhist practice, Newcomb is an active participant in the exchange between Buddhism and Western science, particularly through the lens of the mind-body connection. His contribution to an early Mind & Life dialogue with His Holiness the Dalai Lama was published in the book Gentle Bridges and recently he was an active participant in the Science and Non Duality (SAND) conferences. Jeanie is a learner at heart. While she has served as a public school librarian for 14 years, for the last two years she has worked as a Professional Development Coordinator for the Tarrant Institute for Innovative Education and the University of Vermont. She collaborates with educators and students to create learning environments and experiences that are meaningful and relevant in a diverse and changing world. As a Collaborative Practices facilitator and instructor, Jeanie works to build communities and conditions where educators can explore bias and challenge assumptions. She is passionate about equity and interested in furthering her understanding of culturally sustaining pedagogies in practice. Jeanie lives and plays in Londonderry, Vermont. Marie's brother, Michael, often jokes that Marie never left college. Indeed, Marie has worked in higher education for 25 years in the areas of admissions, career counseling, advising, and diversity & inclusion. Marie holds a Bachelor degree in English/Psychology, an M.Ed. in Higher Education Administration and is completing work toward a doctorate. She is currently the Assistant Dean for Student Services and Staff Development in the Rubenstein School of Environment and Natural Resources at the University of Vermont, overseeing the processes and initiatives that ensure each student thrives. Marie is a proud Filipina celebrating her 19th year living in the Green Mountain State with a passion for inclusive education, multiple ways of knowing, dialogue across difference, joy, cross-country skiing and the family cat, Taco. Courage and love -- yes and always. Marissa has worked in education for over 15 years. She is Director of Diversity and Inclusion at the Westtown School. With a B.A. from Swarthmore College and M.A. in Education Leadership from Columbia University she enjoys being both a student and teacher of life. 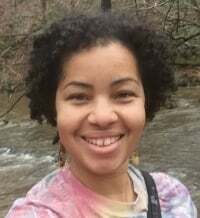 She is in the 2015-16 facilitator preparation cohort for the Center for Courage & Renewal and also leads workshops for adults and youth on topics of cultural competency to help build shared understanding and empathy among diverse members of a community. She brings a passion for social justice and equity to her work and seeks to ignite the spark for change in us all. In her free time she can be found cooking for those she loves or walking in the woods. She lives in West Chester, PA.
Marianne is a native Vermonter, who grew up in the Northeast Kingdom. She has a background in finance, small business management and has served as treasurer on several church and community boards. She is the budget officer for the U.S. Attorney’s Office for the District of Vermont and works closely with the Victim Advocate in her current job, obtaining and tracking funding from Washington, D.C. to assist human trafficking victims. She loves learning and continues to expand her horizons through classes, workshops and travel, in an attempt to gain a better understanding of the diverse community in which we live and our world as a whole. In her spare time, Marianne enjoys painting, drawing, collage, reading, journaling and walks along the river with her adopted Yorkshire terrier, Leya. She currently lives in Winooski, Vermont. Cameron grew up in Addison County, and studied Sociology and Community and International Development at UVM. After college, Cameron went on to teach in a variety of capacities before returning to UMass Amherst for a M.Ed. in Higher Education Administration. Since attending graduate school and working with a number of student activists and change makers, Cameron's been involved in social justice and structural change work in Vermont, most recently as Campaign Manager for gubernatorial candidate, Christine Hallquist. Cameron's happy place is on a bicycle, backcountry snowboarding in the woods of Vermont, speaking Spanish and spending time in Latin America, and with his family, brothers, and two young nephews, Miles and Olen.